This weekend I was in Palermo. Our hotel was called Hotel Europa, and the Ristorante-Pizzeria Le Volte is right in front of it, so the first day we decided to dine there as we caught them close at hand. 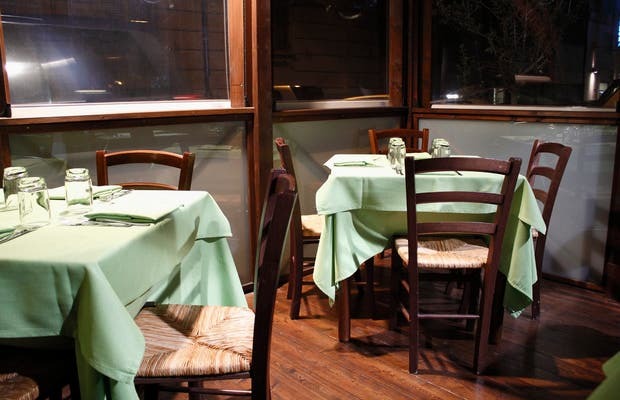 The restaurant has both an indoor and enclosed terrace area. We had dinner on the terrace, which was fine. On the menuyou can find typical Italian specialties as well as a variety of pizzas. We ate two pizzas, one Capricciosa and another four cheese, for 7 € each. He had up to € 4.5, so you could eat well at a cheap price. They were good, but the dough was a little tough, and the knives did not cut anything, so it took a lot to cut.